I read this article and found it very interesting, thought it might be something for you. 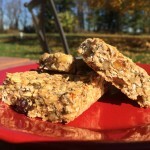 The article is called Travelin’ Trail Mix Snack Bars and is located at http://www.gardendish.com/travelin-trail-mix-snack-bars/. We take Travelin’ Trail Mix Snack Bars with us when we travel by car or plane. They’re hardy and slightly sweet, making them a good snack when the “hungries” threaten to derail our good-eating intentions. You know what we mean. You’re hungry and the only things around are either less than appetizing items in a dusty vending machine, or some over-the-top unhealthy offering like cream-filled, chocolate dipped, sugar-rolled doughnuts. 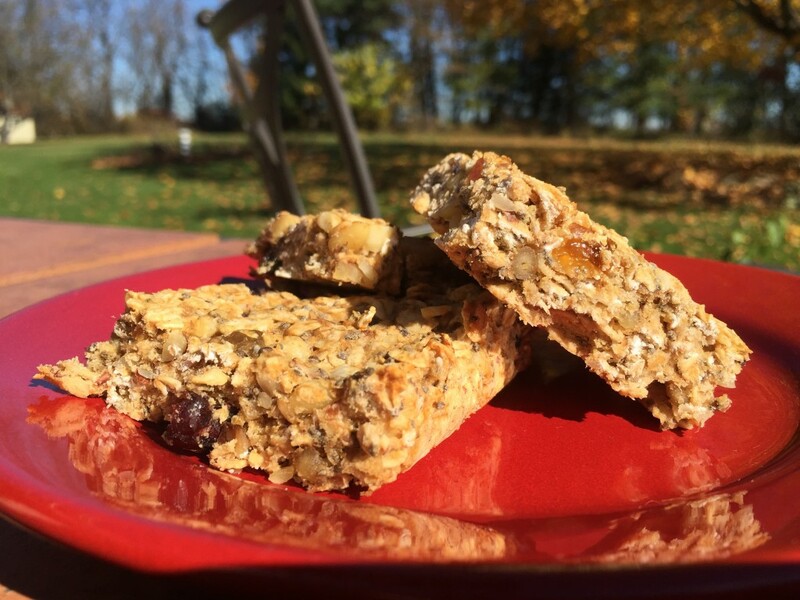 Traveling’ Trail Mix Snack Bars to the rescue! They make a great breakfast too, either as is, with a nice cup of hot tea, or crumbled into a cereal bowl with soy milk poured over top. Those individual-size soy milk packages are a lifesaver for us. When our hotel doesn’t have soy milk at the breakfast bar, which unfortunately is still an all too common occurrence, our personal-size soy milk saves the day. These are easy to make, bake, and take with you. And if you’re not planning on eating them all this trip, they freeze very nicely for the next. Feel free to mix and match your favorite nuts, fruits, and seeds, and let us know in the comments below how your creation turns out. Preheat the oven to 350 °F. Line a 13"x9" baking pan with parchment paper. Using a fork or a pastry blender, mix together the Wet Ingredients until the bananas are well mashed and the mixture is soupy. In a separate mixing bowl, stir together the walnuts, almonds, pine nuts, oats, raisins, and cranberries. In another bowl, whisk together the pastry flour, baking powder, baking soda, cornstarch, flax meal, and chia seeds. Stir together the flour mixture and the nut mixture. Pour in the banana mixture and stir well to combine all the ingredients until no flour is visible. Spoon the mixture into the prepared pan and press the mixture evenly and into the corners. Bake for 23-25 minutes, until the top is light golden brown. Cool on a wire rack before removing the bars by lifting out the parchment paper. Cut into 24 bars. Nutrition (per serving): 184 calories, 61% calories from carbohydrates, 8% calories from protein, 30% calories from fat, 4.1 g fiber.